Read full coverage of the unrest in Egypt updated continually by CNN reporters worldwide. Send your photos and video to iReport and see CNN in Arabic here. [Update 4:22 a.m. Tuesday in Cairo, 9:22 p.m. ET Monday] Opposition leader Mohamed ElBaradei told CNN's Anderson Cooper on Monday that U.S. President Barack Obama needs to review his policy on Egypt. "You need to start building confidence with the people and not with the people who are smothering the people," he said, addressing the president. [Update 4:08 a.m. Tuesday in Cairo, 9:08 p.m. ET Monday] Google said on its blog late Monday night that it had set up a "speak-to-tweet" service to help people in Egypt stay connected. The service allows people without an internet connection to leave a voice-mail message, which will automatically be turned into a tweet. [Update 3:11 a.m. Tuesday in Cairo, 8:11 p.m. ET Monday] CNN's Fareed Zakaria, host of “Fareed Zakaria GPS,” discusses the chances that Egyptian President Hosni Mubarak will step down and the possibility that unrest will spread to nearby nations. [Update 1:24 a.m. Tuesday in Cairo, 6:24 p.m. ET Monday] Egypt's roiling political unrest is causing the United States to fine-tune a foreign policy equation that for 30 years has valued strategic partnership with President Hosni Mubarak over democratic ideals, experts tell CNN's Tom Cohen. Even hawkish conservatives generally opposed to Obama administration policies have backed the U.S. response, citing the over-arching need to prevent an unpredictable power vacuum if Mubarak were to be quickly forced out of power. [Update 1:12 a.m. Tuesday in Cairo, 6:12 p.m. ET Monday] Egypt's information ministry told CNN Tuesday that the Noor Group, an Internet service provider, has been shut down. The move essentially takes the country offline. Minnutes earlier, Egypt's information ministry that mobile phone networks will be shut down in Egypt during the next few hours ahead of demonstrators' planned "march of millions." [Update 1:10 a.m. Tuesday in Cairo, 6:10 p.m. ET Monday] CNN's Arwa Damon reports on armed children helping to guard their Cairo neighborhoods, people standing in long lines for bread amid fears of a food shortage, a few people expressing support for Mubarak, and hostility toward journalists. [Update 12:41 a.m. Tuesday in Cairo, 5:41 p.m. ET Monday] Mobile phone networks will be shut down in Egypt during the next few hours ahead of demonstrators' planned "march of millions," Egypt's information ministry told CNN Tuesday. Protesters who were gathered in Cairo's Tahrir Square said Monday that they were organizing a "million man march" around Cairo for Tuesday. Egyptian security forces have been laying down concrete barriers in front of strategic locations in central Cairo in preparation for the event. Demonstrators also told CNN on Monday that they were organizing a similar march in Alexandria for Tuesday. [Update 12:31 a.m. Tuesday in Cairo, 5:31 p.m. ET Monday] A Google executive is missing in Egypt, having not contacted anyone since Friday morning - three days after major protests in Egypt began - CNNMoney reports. Wael Ghonim, Google's head of marketing for Middle East and North Africa, had traveled to Cairo for a conference, according to a tech entrepreneur who knows Ghonim. [Update 12:19 a.m. Tuesday in Cairo, 5:19 p.m. ET Monday] A few hundred demonstrators have gathered in front of Egypt's mission to the United Nations in New York, wielding signs and chanting pro-democracy and political slogans about the unfolding events in Egypt, according to CNN correspondent Allan Chernoff. The protesters chanted "Free, free Egypt. Down, down Mubarak," he said. [Update 11:51 p.m. Cairo, 4:51 p.m. ET] The U.S. men's national soccer team says it has canceled its Feb. 9 friendly match with Egypt in Cairo because of the political instability in Egypt. [Update 11:36 p.m. Cairo, 4:36 p.m. ET] Talks between opposition parties and Egyptian Vice President Omar Suleiman are already under way, Suleiman's office said. Earlier, Suleiman said on state television that President Hosni Mubarak asked him to start working on "constitutional reform and legislation" in collaboration with the various political parties. Suleiman, the longtime intelligence chief Mubarak picked as his vice president over the weekend, said a reform package should be drawn up "expeditiously" in conjunction with the country's parliament. "The other parties will also have a role to play, which will lead to real political reform," Suleiman said. [Update 11:16 p.m. Cairo, 4:16 p.m. ET] Amre Moussa, head of the Arab League, called Monday for a peaceful transition in Egypt, "from an era to the other," the AFP news agency reported. Moussa is a veteran diplomat who was Mubarak's foreign minister until 2001. [Update 10:44 p.m. Cairo, 3:44 p.m. ET] Egyptian Vice President Omar Suleiman said on state television that President Hosni Mubarak has asked him to start working on "constitutional reform and legislation" in collaboration with the various political parties. Keith Urban and Nicole Kidman walk the red carpet at the SAG awards on Sunday. 'Dangerous storm' to rip through Midwest: Several major Midwest metropolitan areas are bracing for a massive winter storm system that threatened to dump a foot or more of snow and bring potentially debilitating winds. Why Nicole Kidman kept baby Faith a secret: Actress Nicole Kidman says keeping quiet about her new daughter Faith Margaret was one of the toughest things she's ever had to do. Prison officer in Washington found dead: A female correctional officer at a Washington state prison was strangled and an inmate who told officers he had planned to escape is under investigation, authorities said Sunday. As Mubarak cuts communications, major demonstrations expected: Egypt braced for a "march of millions" in anti-government protests Tuesday as embattled President Hosni Mubarak tried to throw up literal and figurative roadblocks in the way of demonstrators calling for his ouster. Jonathan Knight: I was never in the closet: It's no surprise Jonathan Knight wasn't offended when fellow '80s teen idol Tiffany accidentally "outed" him during a recent TV appearance — the New Kids on the Block star says he was never in the closet to begin with. 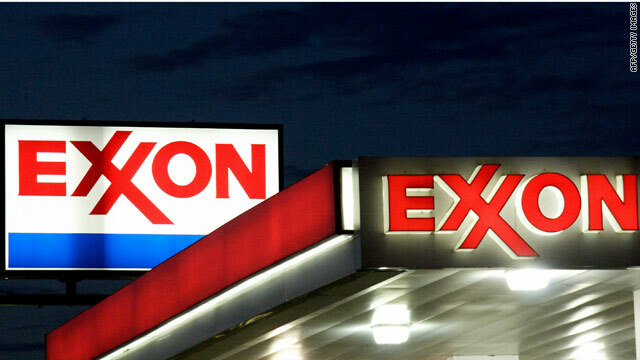 Energy shares led the Dow higher, led by Exxon Mobil, which reported a large jump in fourth-quarter earnings. U.S. stocks posted solid gains Monday as investors focused on the positive earnings news out of Exxon Mobil and rising commodity prices, while continuing to monitor the ongoing political unrest in Egypt. At the final close on Monday, the Dow Jones industrial average rose 68 points, or 0.6%, to 11,892 the S&P 500 index added 9.8 points, or 0.8%, to 1,286 and the Nasdaq Composite was up 13.2 points, or 0.5%, to 2,700. Investors are keeping an eye on the protests in Cairo and elsewhere in Egypt. Egypt shows that risk is alive and well: So far, it looks like the worst-case scenario for oil - the slowing or blocking shipments of oil through the Suez Canal - is not being realized. But it's not as if Egypt is the only geopolitical ticking time bomb that could rattle investors. Meanwhile, oil prices continue to spike amid all the turmoil. Jobs are back! But the pay stinks: Employers haven't added enough jobs. And those they have added aren't particularly good ones. A big worry is whether the trend toward low-wage jobs will continue. Experts say it's too soon to tell. Noor Group, an Internet service provider, has been shut down, according to the information ministry. The move essentially takes the country offline. The government is also planning to shut down mobile phone networks before the march, the ministry said. Security forces have been laying concrete barriers in front of strategic locations in central Cairo. President Hosni Mubarak has ordered an indefinite train shutdown. "Will help prevent protests from reaching Tahrir Tuesday, plus further cripple economy," CNN's Ben Wedeman wrote in a message on Twitter. 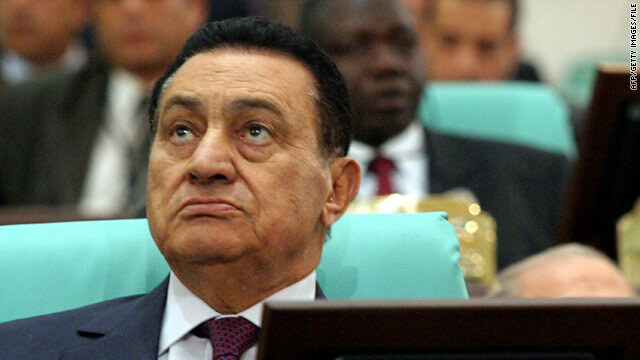 Egyptian President Hosni Mubarak (pictured) is likely thinking more about restoring order than leaving, a former U.S. ambassador to Egypt says. Street demonstrations in Egypt show no signs of letting up. Calls for President Hosni Mubarak to leave office persist. So far, Mubarak shows no signs of heeding the call. Is he considering an exit from office or does he believe he can manage his way out of this crisis? Daniel Kurtzer believes Mubarak isn't going anywhere anytime soon. Kurtzer was the U.S. ambassador to Egypt from 1997 to 2001, the U.S. ambassador to Israel from 2001 to 2005 and an adviser on Middle East policy to the Obama campaign during the 2008 presidential election. Today, he's a professor of Middle Eastern Policy Studies at Princeton University's Woodrow Wilson School of Public and International Affairs. He knows Mubarak well. "Mubarak, as the ultimate guarantor of stability in Egypt as far as he sees it, is only thinking about how to restore calm and law and order," Kurtzer said. "In the back of his mind is the idea that maybe the demonstrators have an issue and something needs to be done. But his major concern now is to restore law and order." It would take a dramatic turn of events for Mubarak to leave office, according to Kurtzer. "I believe the only thing that will change Mubarak's mind is a sit down with top military and security leaders who basically say to him, 'Your presence is putting the system in jeopardy.' There's no evidence yet to suggest that that kind of attitude has grown in the military," Kurtzer said. Despite new hires in the automotive industry, autoworkers are not quite ready to celebrate. 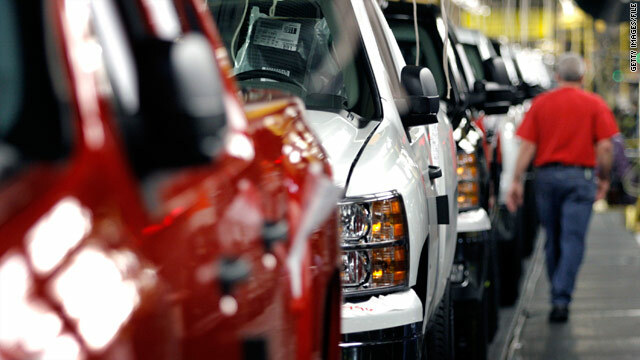 American automakers are modestly adding new jobs that some say signal a strengthening American manufacturing sector. Autoworkers are not celebrating yet. Second-generation GM autoworker Leonard Smith says the last time he checked, there were still some 6,000 workers laid off. “The plant I’m working at now at Marion, Indiana, has 70 original hires out of 1,400 employees,” Smith said. Brittanee Drexel was 17 when she disappeared in Myrtle Beach, South Carolina, in April 2009. Editor's note: Nancy Grace's new show on HLN, "Nancy Grace: America's Missing," is dedicated to finding 50 people in 50 days. As part of the effort, which relies heavily on audience participation, CNN.com's news blog This Just In will feature the stories of the missing. This is the 11th case, and it will air at 9 p.m. ET Monday on HLN. For two years, police have been looking for Brittanee Drexel, a teenage girl who disappeared during a spring break trip to Myrtle Beach, South Carolina. 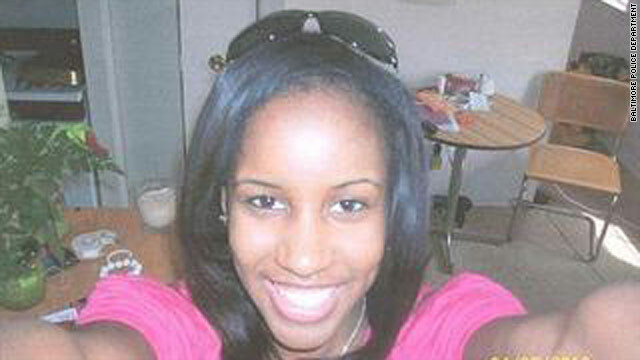 Drexel, of Rochester, New York, was last seen in Myrtle Beach on April 25, 2009, disappearing after going for a walk about 8 p.m. She was 17 at the time. This past weekend, the second-largest search for Drexel was launched with the help of 200 trained volunteers from the Center for Missing Persons. Volunteers covered heavily wooded areas on foot and with the help of ATVs, horses and dogs. Phylicia Barnes of North Carolina disappeared last month in Baltimore, Maryland. This was the 10th case, and it aired Friday night on HLN. Phylicia Barnes, a 17-year-old honors student from Charlotte, North Carolina, disappeared in Baltimore, Maryland, on December 28 while visiting her sister. She told an acquaintance that she was hungry and might have left her sister's apartment to get something to eat. Barnes' coat and purse were gone, but her credit card was left behind. Police are focusing on a dozen people who saw the teenager shortly before she vanished. No one has been identified as a suspect or person of interest in the case. [Updated at 10:28 p.m.] The fight over the health care reform law ruled unconstitutional by a federal judge on Monday will eventually be decided by the Supreme Court, said CNN senior legal analyst Jeff Toobin. "This Supreme Court is very evenly divided between liberals and conservatives. Anthony Kennedy tends to be the swing vote. I would not be at all surprised that he would be the swing vote in this case as well," Toobin said. "When you consider that this is the signature achievement of the Obama administration, and that it is hanging by a legal thread right now, it's a cause of great concern to supporters of the law." Because the Florida judge ruled that the individual mandate, the part of the law that says everyone has to buy health insurance, is unconstitutional, “he says the whole law has to go out the window,” Toobin said. Toobin said it is important to note that several federal judges have found the law constitutional. "This is why we have a United States Supreme Court, to settle when judges disagree with each other," Toobin said. The nine justices "have the last word," Toobin said. "Nobody can tell them what to do or when to do it." [Updated at 5:37 p.m.] The U.S. Department of Justice says it plans to appeal the ruling of a federal judge in Florida, who earlier today struck down as unconstitutional key parts of the sweeping health care reform bill championed by President Obama. [Updated at 3:47 p.m.] A federal judge in Florida has ruled unconstitutional the sweeping health care reform law championed by President Barack Obama, setting up what is likely to be a contentious Supreme Court challenge in coming months over the legislation. Monday's ruling came in the most closely watched of the two dozen challenges to the law. Florida along with 25 states had filed a lawsuit last spring, seeking to dismiss a law critics had labeled "Obamacare." 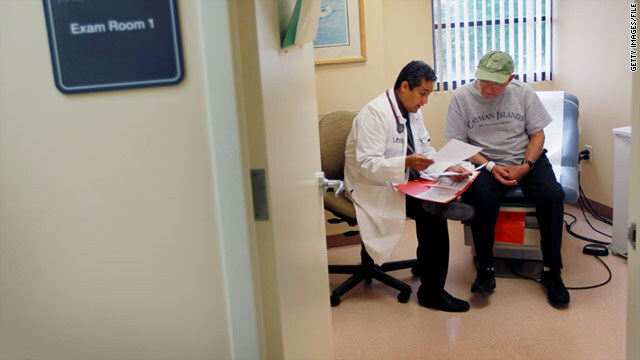 Inequities in our health care system," Vinson wrote. when there is virtually unanimous agreement that health care reform is needed in this country, it is hard to invalidate and strike down a statute titled 'The Patient Protection and Affordable Care Act.' 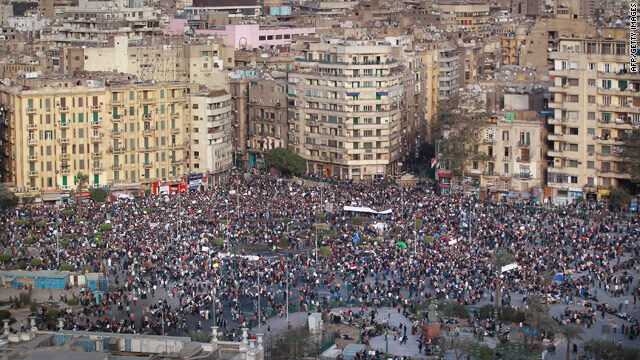 "
Thousands of protesters again defied curfew, gathering at Tahrir Square in Cairo on Monday. Egypt: How did it get to this point? As the protests in Egypt reach Day 7, CNN takes a look back at how they have unfolded. On the heels of anti-government demonstrations in Tunisia, thousands of protesters spilled into the streets of Egypt in a rare display of anti-government outcry. 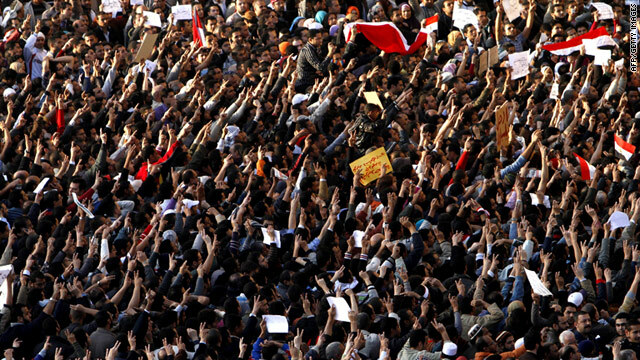 CNN reporters on the scene witnessed throngs of people in Cairo march from Tahrir Square to the parliament building. Demonstrators threw rocks at police, who threw them back and shot tear gas at the protesters, who also reciprocated. 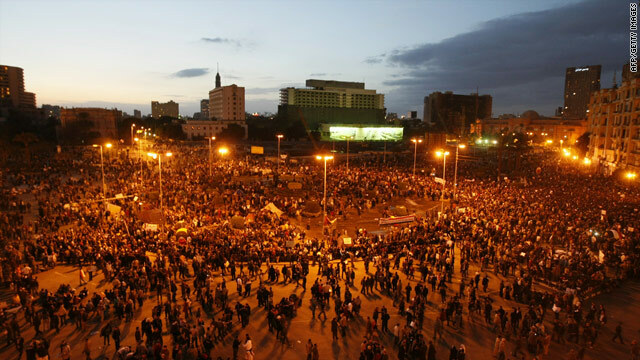 While Egypt estimated that there were 5,000 to 10,000 protesters, CNN estimated that the demonstration peaked at 15,000 to 20,000 protesters. The protest's organizers said they wanted to mirror the uprising in Tunisia, which 10 days prior had precipitated the end of President Zine El Abidine Ben Ali's 23-year rule. Before the protests in Cairo, several Egyptians set themselves or tried to set themselves on fire earlier in the month, which also was reminiscent of Tunisia, where a man's self-immolation spurred the uprising. The Egyptian protesters - who included young and old, Christians and Muslims, students, workers and businesspeople - said they were angry over the cost of living, failed economic policies and corruption. They demanded that President Hosni Mubarak, in power for three decades, follow the lead of Tunisia's president. "We breathe corruption in the air," said one demonstrator. At day's end, three protesters in the port city of Suez and a police officer in Cairo were killed. Forty-nine people were injured, according to news reports. Tens of millions of people are bracing for a major storm system poised to sweep through the central United States and beyond this week, according to weather forecasters. Chicago, where a blizzard watch already has been issued, is expecting a snowstorm of historic proportions. "This storm could be one of the top 10 biggest snowstorms ever in the city," said CNN meteorologist Sean Morris. The same system is expected to coat large sections of the country's midsection in a thick blanket of snow, he said. Owen Honors says senior leadership gave "tacit approval" of controversial on-board videos. The Navy commander fired for making racy videos and broadcasting them on a ship says that the movies had the "tacit approval" of senior Navy leadership, the Navy Times reports. Owen Honors' statement to investigators, obtained by the Navy Times, marks the first time his side of the story has been made public. Honors made headlines for days in early January when the videos were published on the Virginian-Pilot newspaper site. The films included a simulated rectal exam, anti-gay slurs and sailors pretending to shower with each other aboard ship. In early January, Honors was removed from his post commanding the aircraft carrier USS Enterprise. An official 15-page statement that Honors gave to Navy investigators states that two commanding officers, two strike group admirals "and myriad other senior military and civilian distinguished visitors" were aware of the videos, according to the Navy Times. 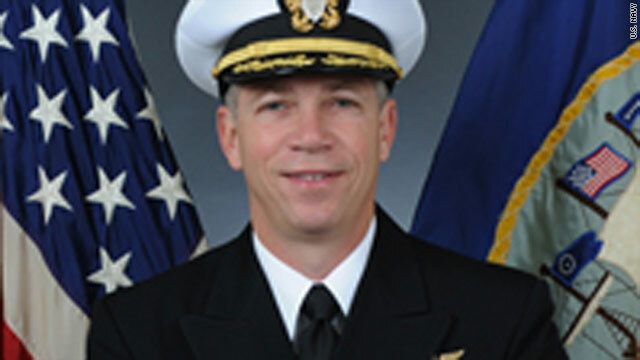 Honors made the videos in 2006 and 2007 when he was executive officer of the Enterprise, and they were discussed during meetings with the ship's commanding officer and other leadership, the Navy Times reports. During these conversations, Honors received “encouraging feedback” about the content of the movies and was never told to stop making them, according to the report. Honors' superiors did not respond to Navy Times' requests for comment. More cuckoo than Cocoa Puffs? - Struggling actors in Hollywood have a new way to lose their dignity. 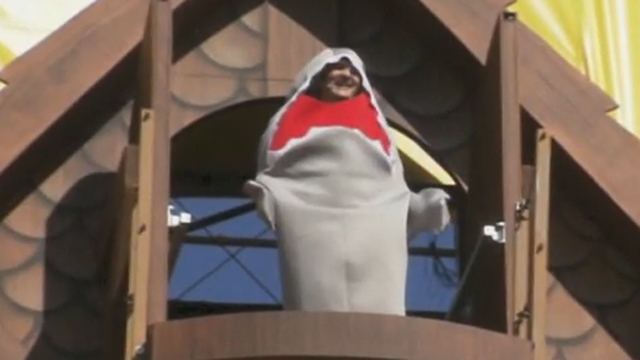 As part of a new cereal promotion, a 66-foot cuckoo clock has been unveiled in Los Angeles featuring actors in costume as the cuckoo bird, or, in this case, shark. The only thing that could make this video stranger is if Nick Cannon randomly showed up and... Wait, is that...? 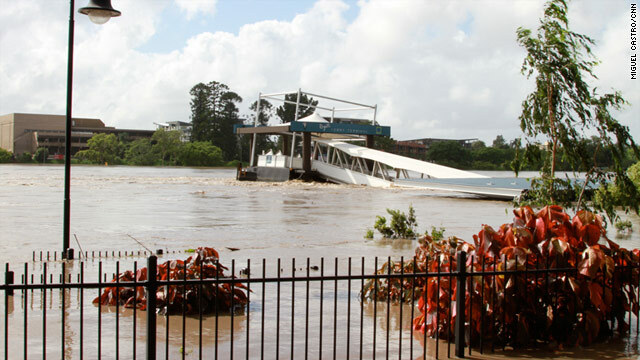 Cyclone Yasi could set back Queensland, already damaged by recent flooding, shown here. A strong cyclone thrashed flood-ravaged Queensland, Australia, this week, but another storm is about to hit the highly populated north coast - and it is much bigger. Forecasters say Cyclone Yasi could reach 149 miles per hour, according to the Sydney Morning Herald. Many are concerned that Yasi could mean setbacks for the coal-mining sector of the region, which was socked by recent massive flooding, the paper reports. Yasi is expected hit overnight Wednesday, according to The Australian, and will come ashore between Innisfail and Proserpine, directly hitting Queensland's capital, Townsville. Yasi follows Cyclone Anthony, which hit this week with winds reaching 80 miles an hour, according to the Courier-Mail. The newspaper also had extensive coverage of the recent flooding, which affected 3 million people in one of the country's most costly disasters. Last week, Australian Prime Minister Julia Gillard proposed a tax to help cover flood damage, estimated at $5.6 billion. Egyptians protest against President Hosni Mubarak during a demonstration Monday at Cairo's Tahrir Square. Egypt, Day 7 - Demonstrators continue to demand that Egyptian President Hosni Mubarak step down, and CNN.com's "This Just In" is live, blogging developments as they happen. While Americans were waking up Monday, thousands in Cairo defied a midafternoon government curfew despite a greater military presence on the street. Many in the city's Tahrir Square said they spent the night there. In Alexandria, 2,000 to 3,000 people gathered, and an armored personnel carrier fired warning shots in an apparent effort to intimidate protesters near a hotel. Meanwhile, the U.S. State Department said 42 Americans have been evacuated from Egypt and more will be transported. Read about their journey. The recent Tunisian uprising helped inspire the Egyptian unrest following the buildup of years of social, political and economic grievances. 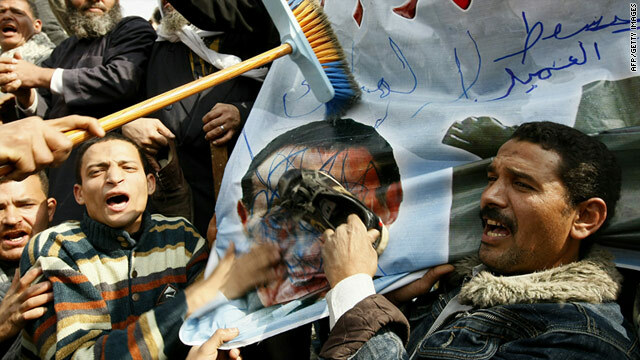 The lack of opportunities, corruption and poverty have coalesced into a push to oust Mubarak from power. The negative effect protests have had on U.S. stocks may be waning, but world markets are not doing as well. So what's next? Are you in Egypt? Send your story to CNN's iReport. To read all of CNN's Egypt coverage in Arabic, click here. Snow and more snow - A major winter storm likely will begin near Oklahoma City late Monday and then move east. 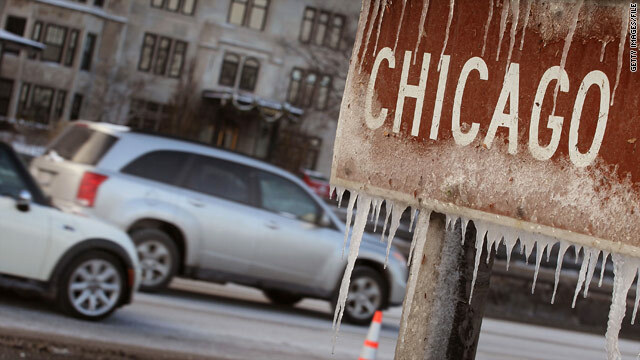 Chicago and St. Louis may get record snow. "Combined snow totals from Monday afternoon through Wednesday may exceed a foot and a half across much of northern Illinois and far northwest Indiana," the National Weather Service said. "Snowfall rates up to 3 inches per hour will be probable at the height of the storm Tuesday night." The storm is expected to hit the East Coast on Thursday. Dietary guidelines to target salt - The U.S. government is trying to get people to eat healthier. New guidelines will be released Monday. The main message: Eat less salt. Other recommendations include telling people to consume less sugar and solid fats and eat more seafood, fruits, vegetables and whole grains. SAG Awards - The Screen Actors Guild Awards are considered to be an indicator of who will take home Oscar. If that's true, it's good news for "The King's Speech," which took home honors for star Colin Firth and best movie ensemble. Everyone is talking about Betty White, who looked stunned to win the best female actor in a TV comedy series for "Hot in Cleveland." Here is a full list of Sunday night's winners. 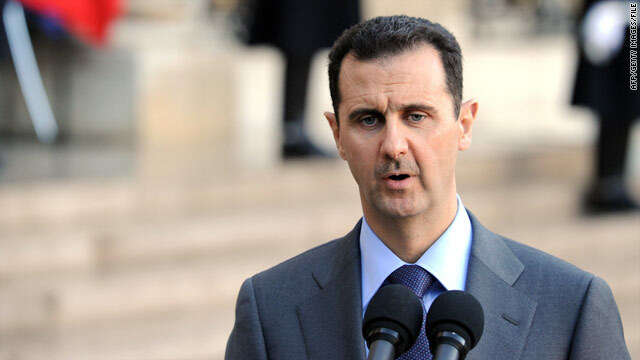 Syrian President Bashar Al-Assad says he will push for political reforms in his country. Syria's president told The Wall Street Journal that the riots in Egypt and Tunisia mark a new era in Arab countries and that he will push for more political reforms in his own country. At an age when many members of Congress would choose to retire, the 81-year-old Democrat from Michigan has announced that he will seek his 25th term. As he approaches his 39th birthday, the Pittsburgh Steelers' coach will take his team to the Super Bowl this weekend for the second time in three years. Filed under: Football • Michigan • Most Intriguing People • Politics • Pro football • Protest • Sports • Syria • U.S. 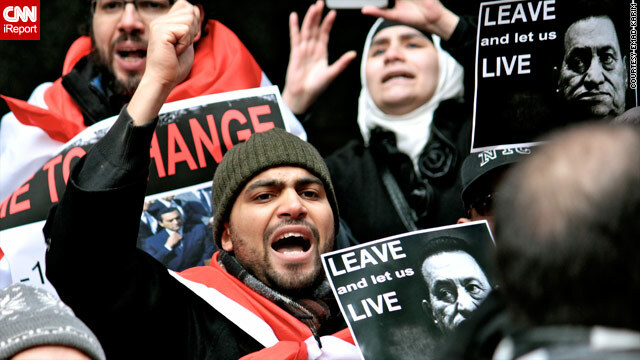 Protesters in Egypt continue to demand that President Hosni Mubarak leave office. CNN.com Live has all the latest developments from the troubled North African country. 11:00 am ET - 'Start-up America' initiative launched - During last week's State of the Union address, President Obama discussed ways to encourage U.S. business development and research. Today, Obama administration officials and others discuss efforts at encouraging private sector investment of such business development and research.